A business lawyer takes part in two different sides of business law: litigation and transactional. 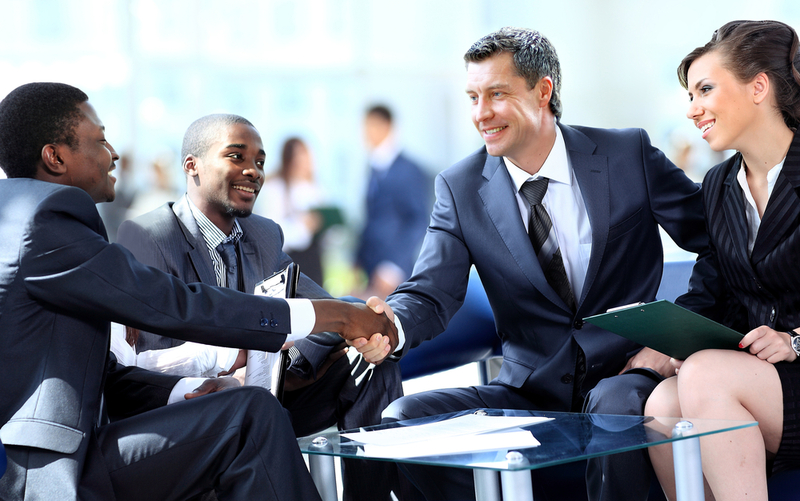 Most business attorneys specialize in one area or the other. Litigation means a lawyer who specializes in business lawsuits while transactional requires a lawyer who advises businesses so they can strategically avoid lawsuits. Some businesses believe that a business lawyer is only necessary when they are sued; however, a smart business owner recognizes that an ongoing relationship with a lawyer will help them evade future problems. If you’re in need of a business attorney, give us a call. Other than being experts in business law, a business lawyer helps companies manage risk. Businesses face an enormous amount of risk whether dealing with competitors, government rules and regulations, and taxes. Fierce competition between businesses can reveal problems or highlight possible legal issues. Although you can ignore risk, ignorance is not bliss because you and your business could stumble into a situation that could have been preventable. Smart business owners recognize when they need legal aid. A business lawyer can help you and your business in a number of ways. Ideally, the goal is to help you protect your business from outside competition and internal problems. A business attorney can help in any of the below situations. Not only should a business lawyer protect your business rights legally, he or she will offer a wealth of knowledge in how to legally run your business. Don’t wait to have a business attorney working with you until after you’re already dealing with a lawsuit. Legal counsel can help prevent future lawsuits and save your business long term. Why Should You Hire A Business Attorney? In the lifetime of a business, most owners will face employee problems, customer frustrations, and business negotiations. Each of these circumstances are fraught with risk and possible lawsuit if not handled precisely. Although some businesses may be able to escape lawsuit and other such potholes, most will tumble right in without the aid of a business lawyer. Business lawyers do preventative legal work with you and your business to protect you in the future. If you could avoid a future lawsuit by doing legal work now, wouldn’t you want to? Prevent Future Legal Issues. In lawsuit-happy America, companies are even more likely to face lawsuits than ever before. Therefore, it’s wise to prepare even before you open the doors of your business. Prepare and review business contracts. Who better to write a law-binding agreement than a business lawyer who is steeped in knowledge about business, clauses, and the law? Your business lawyer focuses on protecting your company with well-worded contracts. Offers sound legal advice. A business attorney has seen businesses fail and succeed. He or she will know what steps you should take to prepare your company for success, whether that means insurance or protecting specific intellectual property. Fight for you in a lawsuit. In the event of a lawsuit, your ongoing relationship with a business lawyer will expedite your legal coverage. Rather than dealing with the frustrations of a lawsuit while trying to find a lawyer, you and your company will already have a business lawyer. Don’t wait for a problem to arise before you seek legal aid. Prevent the legal problem before it happens by contacting a business lawyer. If you own a business or are dealing with a business lawsuit, contact a business lawyer who will know how to navigate your case and your rights under the law. Don’t hesitate, talk to a business attorney: (412) 626-5626 or lawyer@lawkm.com.